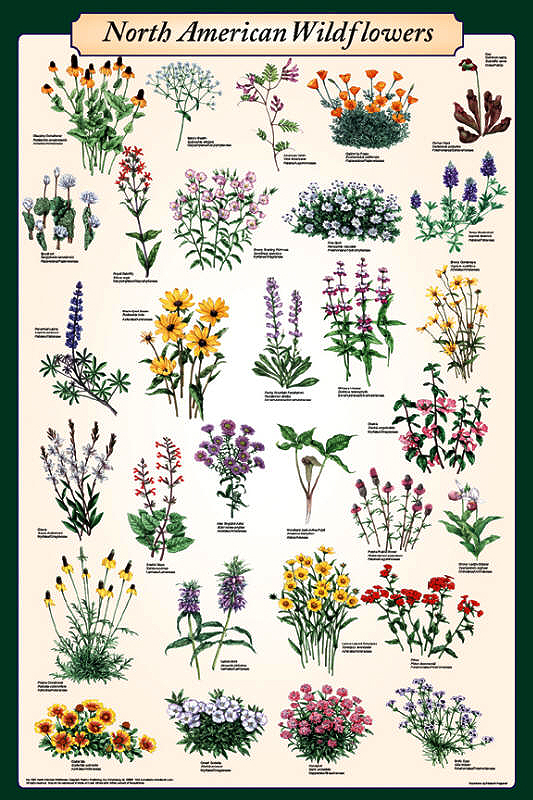 This striking poster displays the most widespread and colorful North American wildflowers. The magnificent illustrations show a lavish group of them rather than just an individual flower. Each beautiful flower is listed by its common and scientific names. All are accompanied by botanical order and family.